If you’re looking for something different, some truly unique, mind-blowing electro-pop, then you’ve come to the right place. 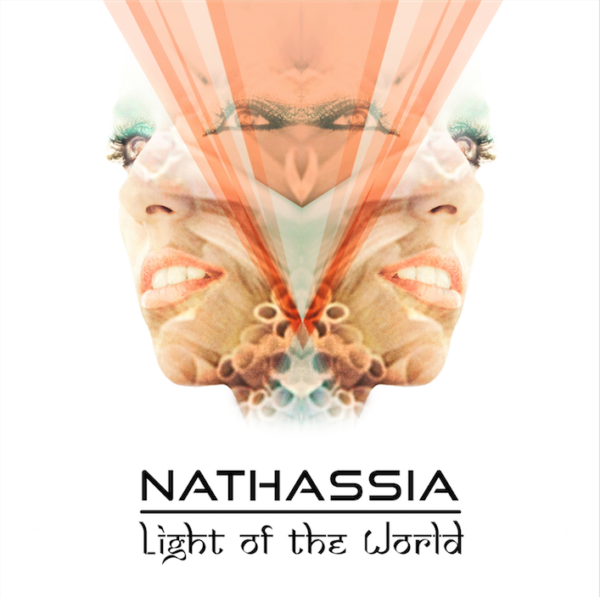 Nathassia is currently based out of London where she is very informed by its music scene. The songs on her just released debut album, Light of the World, run the gamut from modern EDM and electro-pop to dubstep and old school drum ‘n’ bass. The way she blends these sounds, along with traditional sounds from the East and the West (which she happens to be a blend of) is nothing short of magical. This is one of the most bewitching albums I’ve ever heard. It caresses you like a cool breeze on a hot summer day. It’s intoxicating. It also has some of the best lyrics I’ve heard in electronic pop music in ages. She gives Björk a run for the money, that’s for sure. Her songs about Egyptian gods and other historical things and they deliver a warning about the state of the world today. “Red alert, it’s contagious,” she sings. Consider this your wake up call. Light of the World is one of the best albums I’ve ever heard in my life, period! 1) I know you’re London based, but where were you born? I was born in Gouda, a historical city in the mid-west of The Netherlands mostly known for it’s cheese, candles & delicious sirup waffles, beautiful scenery of city-canals (“grachten” as they are called in Dutch) and an impressive 15th century gothic city hall! I am only half Dutch because my mother’s heritage is Indian (Asian) but she was raised in Surinam, South America. That is why I feel like a real mix of East & West! 2) How long have you lived in London? I’ve been living in London for 4 years now and before that I’ve been coming here off and on during my studies. 3) Did you live anywhere in between where you were born and when you moved to London? For part of my studies I’ve lived in Haarlem, being only 15 minutes from Amsterdam the hub of the Electronic Dance Music. 4) Did you move to London in order to have a good launching pad for your music career or for some other reason? If not for your music career, what was the reason? I actually moved to London to gain work experience for my studies International Music Management as I wanted to know the business world of music inside-out. That company I worked for then is now managing me as an artist! 5) On the song “Egypt’s Queen” you sing “home, time to bring me back where I belong” and that Nefertiti is coming back. Are you singing the song from her perspective when you sing “back where I belong” or are you referring to yourself as Nefertiti? If neither is the case, could you explain it for us? In the song “Egypt’s Queen” it’s the bust of Nefertiti that comes alive so “back where I belong” is being sang from her perspective. She sings about that she does not belong in a museum in Berlin but wants to go home to Egypt. 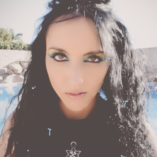 The teaser video (and full video coming soon) shows her imagining going back home where she becomes more and more alive, remembering Egypt, the Nile, (where we shot the latter part of video) all very magical! 6) Do you strive to bring Nefertiti back? Yes I strive for the bust of Nefertiti to be returned to Egypt. Regardless of what the circumstances were at the time of the find (Time Magazine lists it among the “Top 10 Plundered Artifacts”), it feels wrong to me that we have to go visit this Egyptian artwork of the most famous and important Egyptian queen in history, in a museum in Berlin, as opposed to experiencing the full magic of it in Egypt. The bust is still such an important icon in Egypt, she has been kept “alive” in everyday life. The Egyptians deserve to have the bust of their beautiful queen back and that is why I wrote this song. 7) The credits state that Parasite is the Stenchman mix. Is this the original version of the song or a remix? If it’s a remix, why did you decide to put that on the album instead of the original version? The original version was produced by FiendReflex but I asked Stenchman for a remix. I decided with my record company and PR team to use the Stenchman version for the album because of the energy in the music. It has the best of both producers and I’ve never heard anything like it! 8) Some of your songs feature a lot of keyboards. Did you perform these yourself? What instruments do you play? I play a bit of guitar, basic piano/keys and the alto sax since I was 11. I can also drum a little bit and lastly I have a Sitar on which I am learning to play! 9) Did you produce the album yourself? If not, who produced it? I co-produced the album with 7 different music producers from all over Europe & America, by working closely with them in a back and forward process. I was very pleased to have worked with a Grammy award winner with whom I also chose to co-write several songs on the album. All the vocals on the album were recorded and produced by myself in my own recording studio in London. 10) What equipment and programs did you use to create the sounds on the album and produce it? I record and produce my vocals in Logic and some of the equipment I use are Focusrite, Vintage JZ & Roland. Yes there are really many tracks!! Just the vocals alone consist out of 20 to 40 tracks on most of the songs, sometimes I almost have to stop myself from doing more harmonies just to prevent my system from crashing! Parasite has the most musical stems because there’s so much going on and there were two producers involved. What I really love about “Egypt’s Queen” is that is has the least amount of music tracks which gives it a real pure and acoustic sound, but then the many vocal layers lift it up to being strong and powerful, which fits so very well within the theme of the song. 12) Your music features everything from electronica to drum ‘n’ bass to pop to EDM. When you sit down to write a song, do you decide on a particular genre first? No not at all, I didn’t create anything on this album from within a specific genre or in order to be fitted into one. This album ended up being a reflection of myself, with a mix of east & west, and is a collection of what I love musically not limited by genre or rules. 13) When you write songs, do you usually start with the music or lyrics or…how does the magic happen? It can be either way, the main thing is deciding what the song is about, after that everything else can fall in place. I can either take an instrumental track that inspires me or I can start composing a melody from scratch. Things that lyrically inspire me are the universe around us, mysteries of life and love, history, spiritualism etc. 14) You’ve already amassed a large fan base in Egypt, Turkey, Morocco, Brazil and Libya. Did you directly promote your music in these countries or did people just randomly discover your music and love it? When I started promoting my music to the entire world those countries seemed to be the first who really noticed me and my music. I did not adjust my music or videos specifically for those countries so it has been quite overwhelming to have such wonderfully devoted fans from such faraway places. 15) Why do you think your music found an audience in these particular countries more than others? I really don’t know the answer to that but all I can say from the thousands of messages I get from my fans is that they feel that my music, videos and lyrics are accessible to everyone, whatever their background or culture. 16) Which countries have you performed live in so far? I have performed in The UK, The Netherlands, Morocco, Belgium, Turkey and Egypt. 17) Will you be doing much performing live to promote your new album? What countries will you be performing in? Any chance you might come to the United States? I would definitely love to come to the states! Right now I am rehearsing with my band to get a great live show ready to be performed all over the world. 18) If you don’t mind my asking, what religion are you and could you tell us a little about it? I prefer to keep religious beliefs private and let my music transcend all boundaries. 19) You have a song called pagan goddess. Which pagan goddess is it about? The pagan goddess wiccan’s worship? 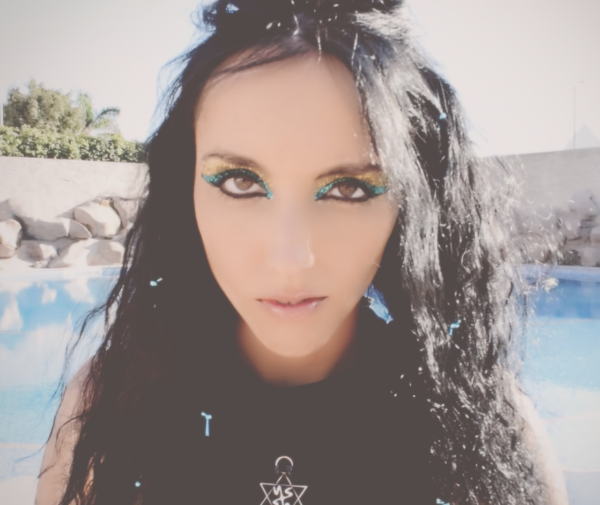 The song “Pagan Goddess” was inspired by my great interest of ancient myths of historical gods and goddesses. The Goddess I have studied the most is Taweret, described as a combination of hippopotamus, crocodile and lion, but ferocious and fearful as a mother would be to protect her young. It is believed that even demons fear her which means she is to protect mothers and children from evil spirits. 20) Do you believe that there is a god in addition to the goddess? The Egyptians believed BES was the god who was associated with Taweret, he was also said to be able to banish demons! 21) Who do you believe to be the “light of the world”? Nefertiti? “The Light of the World” can be all in life that we find hope in. When I wrote the song, I imagined the beauty of life & nature, from children to a waterfall and beyond, it could be anything to anyone therefore yes it could be Nefertiti! 22) Do you believe Nefertiti is a goddess? If so, why? I like to imagine that a true God or Goddess would have no need for sacrifice, as my song Pagan Goddess says “There’s no need to bring me sacrifice or stand and make a fight”. I do believe that we can have God(dess)-like people on earth and I would like to believe that Nefertiti was one of them. 23) If you worship Nefertiti, do you also worship her husband Akhenaten? If not, why? I do not know enough of Akhenaten to answer, but he does look a bit like Obama! 24) Your album ends with an outro called “Destruction,” in which you also refer to the light of the world. Is it about the light of the world destroying it? Are you referring to the apocalypse from the Bible? It is a reprise of the whole album as it ends. Everything in life starts with a creation and at some point has to end with destruction in order something new to be created. All part of the great cycle of life. Hopefully you will put my CD on repeat! 25) One of your songs is called “Telepathically.” Do you believe in telepathy? If so, do you possess telepathic abilities yourself? If yes, what are you able to do with your gift? I got inspired to write Telepathically after reading a story about German twin-sisters who did not know they had a twin, and when they met for the first time they realized they had been living identical lives for many years. I seem [to] have a sense of telepathy before my mother rings me from Holland! 26) Could you tell us three of your favorite things about London? Night busses! Multi-cultural living and artistic diversity. 27) Can you see yourself leaving London someday? If so, where would you like to move to? I am open to all possibilities! 28) Are you able to support yourself from music yet or do you have a day job? I fully support myself from music and it keeps me very busy, before that I was a games tester! 29) Do you think your songs – particularly the lyrics – would be appreciated by the average people of the country you are from or would they consider them blasphemy? See my answer to question 15! 30) Are you a big fan of Egyptian art? If so, is there something in particular that is your favorite? I appreciate it but as expected I have been mostly music focused! 31) Just this year, archaeologists have stated that they think they’ve found Nefertiti’s tomb inside the tomb of Tutankhamun. (You can read about it here: http://www.independent.co.uk/news/science/archaeology/queen-nefertiti-tomb-egypt-king-tutankhamun-have-we-found-secret-lost-burial-a6942696.html) Do you look forward to what they might find in the tomb or do you think they should leave it alone? I follow the news on this with interest. 32) What is your opinion of streaming services like Spotify and Apple Music? Do you think they’ll save the music industry or destroy it, for example? Well as an independent artist it makes it easier to reach people and fans but of course there is very little money to be made from any of the streaming services. 33) What was the first album you ever bought with your own money? 34) Vinyl has been making a comeback. Are you a fan of vinyl? Why or why not? Will your album be released on vinyl? Oh yes I do like Vinyl (I also liked the TV show!). Initially my album won’t be released on vinyl but have plans to do later on in the year. 35) If someone was giving you a million dollars to donate to charity and you could only give it to one charity or cause, which would you give it to? My affinity is for children and animals so I would take the time to research several independent charities that support them. 36) What is your favorite holiday and why? International music festivals, I love the vibe! 37) What song is stuck in your head right now? Do you like it or would you like to forget it? 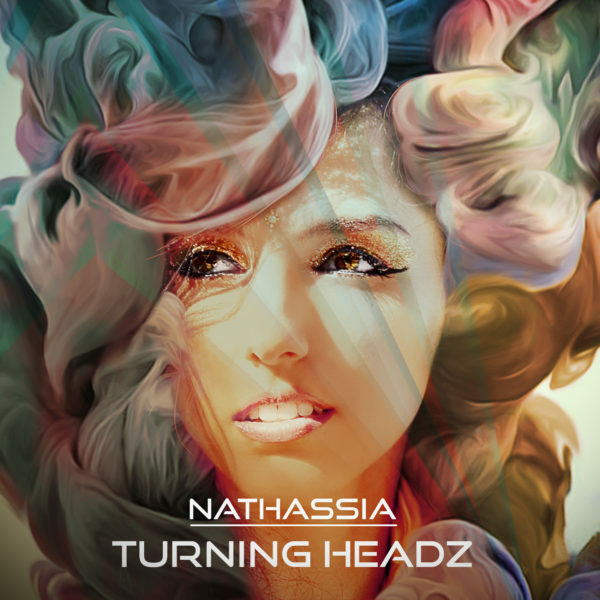 Special thanks to Nathassia for taking the time to do this jumbo interview. Thanks also to Rob at Vision Music Promotion for making it happen. Great interview! We love you Nat! Een geweldig boeiend interview!! Succes verder! !